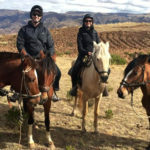 THE BEST INCA TRAIL ADVENTURE IN THE ANDES. 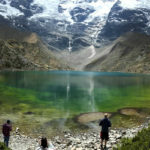 This is one of the best-known hiking routes in all South America and the most important of Perú; walking around the Inca Trail will be the most unforgettable experience in your life, walking by the same way that the ingenious Incas walked 5 centuries ago is something indescribable, find huge buildings in the high of the mountains, someone in the valleys and at the edge of cliffs will make you imagine the big effort they did to build the well-preserved stoned Trails, until now these are the witnesses of the astonishment of the people who arrive from different places around the world to live this great experience, this trail will let you arrive in the citadel of Machu Picchu, as it made them with the Incas. 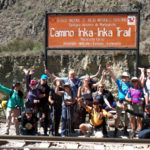 You have two options to go in this hike, the traditional 4 days Inca trail that due to the restrictions of the Peruvian Government with the desire to preserve the trail only provide 500 spaces per day, into this quantity is included, tourists, porters (carriers), tour guides and cookers, for this reason we recommend make your reservation 4 months in advance or 6 months in advance if your trip will be between May to September; also you have a short version of 2 days, this for those people who don’t have enough time, for this option is easier, you have availability every day but you must book weeks in advance. The trail can be done by any person and any age but for physical conditions we suggest from 13 years old, you don’t have to be athletes but in a good shape to walk (we make this trail with 65 and 70-year-old people), the difficulty is more for the altitude, the hike is in a tourist rhythm (this is not a rush), we go slow and have breaks. 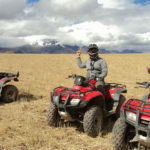 We recommend for all the travelers and groups who want to go on the trail, arrive in Cusco at least 1 or 2 days before the trek departure to acclimatize very well, where you can do other activities in our nice city. 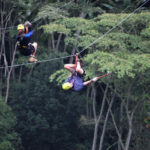 Come and know this unforgettable experience crossing the original royal Inca trail to get Machu Picchu, the magical lost city of the Incas, this is a good option for the adventure travelers who dreams to visit Machu Picchu in a different way, in this hike you’ll have the option to visit one of the biggest Inca site (Wiñaywayna = Forever joung) located on the original Inca Way, all this route was well stoned by Incas, arriving to Inti Punku (the sun’s gate) you’ll have a really nice scenary of Machupicchu from this different angle, this is a shorter option for those people who can not walk the 4 days normal Inca Trail. 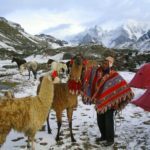 Day 1: Cusco – Km 104 – Wiñaywayna – Aguas Calientes. 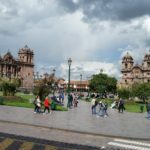 Day 1: Cusco – Wiñaywayna – Aguas Calientes. 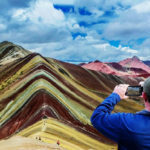 We leave from Cusco around 5 am to go by bus to Ollantaytambo (1 and 1/2 hours), there we will take a train to Challabamba (Km 104) once we arrive we will get ready to start the hiking, this will be as 3 hours uphill towards Wiñay Wayna. 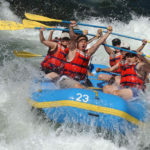 On the way, we will have beautiful views of the Urubamba river and the chances to see different kinds of the famous orchid family, once We turn around the last corner we will find the amazing Wiñay Wayna, we will visit this huge Inca Site, Here agricultural product from other areas where collected to be brought to Machu Picchu. 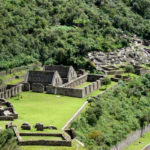 we stop to make a visit to this interesting and important Inca site. 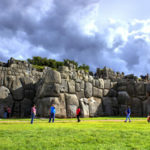 In the afternoon we walk the last hours towards Inti Punku (Sun Gate) where we can see on a distance in the beautiful afternoon MACHU PICCHU, then we start going down to Aguas Calientes. We spend the night in a nice hostel in town. 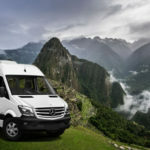 We leave early in the morning from Aguas Calientes by bus (25 minutes) to have the option to see the sunrise in Machupicchu, we’ll be some of the first group up there. 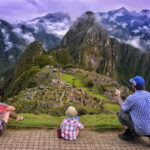 then we will start the guided tour information for about 2 hours, this will be around the most important areas of Machu Picchu. 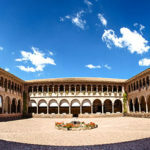 you will learn about the religiously and historical importance of this place, and we will be able to appreciate the fine architecture of the Incas. 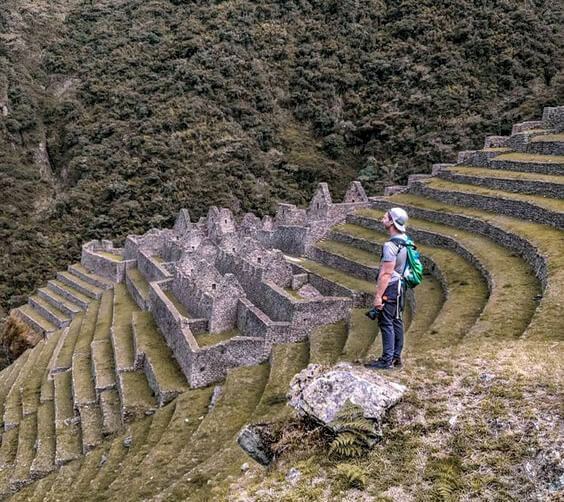 After the guided tour you can go to the top of Wayna Picchu (Optional with an extra cost, ask) or you can explore the town by your own, In the afternoon we meet in Aguas Calientes to take the train to return to Ollantaytambo then we will bring you back by bus to Cusco. Briefing about the tour, one day before the departure. 01 breakfast, 01 lunches, 01 dinners. First aid package including oxygen. First breakfast and the last lunch after Machupicchu. Bus ticket to go down on the first day from Machupicchu to Aguas Calientes we go walking 01 hour. Water bottle and water purification tablets. Photo camera with extra film. Always take dry clothes with you in your daily back pocket.